Cabinets aren't just for kitchens and baths - we can create custom entertainment centers, built in linen cabinets, fireplace mantels, and more. 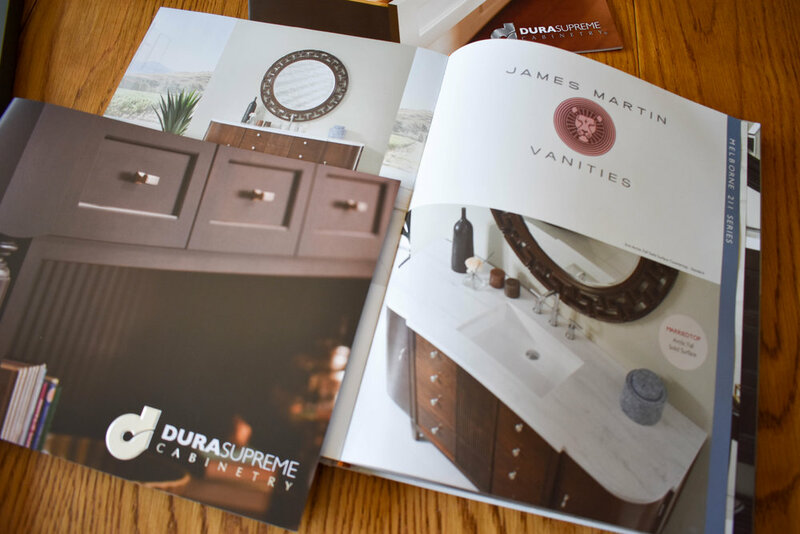 DuraSupreme Cabinetry is headquartered in Minnesota and boasts an impressive array of options for any space. 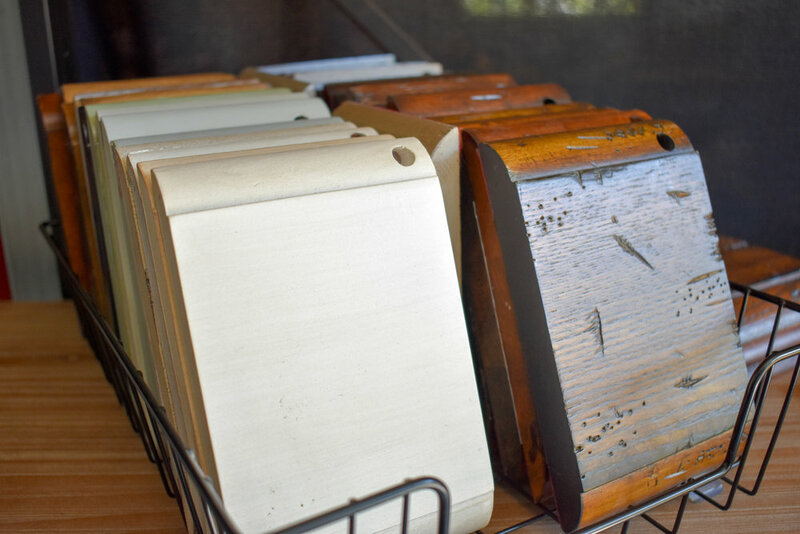 They minimize material waste with their computerized cutting system, use recycled wood fibers in their cabinet construction, and have a custom paint program so you can pick any color under the sun - even though their cabinet finishes are already gorgeous! Ready to take your bathroom to the next level? Well these vanities can do just that! These vanities are furniture pieces with beautiful details. The best part - we can get 'em quick. 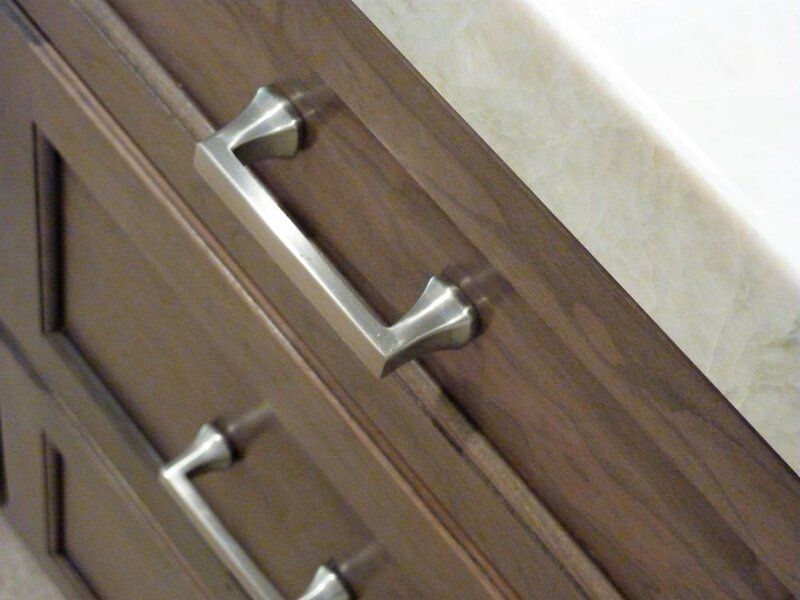 Pick your cabinetry style, size, finish, and counter from their catalog of options - it couldn't be easier. It's like one stop shopping - you get the vanity, the top, the sinks, and the cabinet hardware. All you have to supply is your faucet! The newest additions now include bamboo drawer dividers and built in outlets with USB ports! We can do that too! There's nothing I love more than working with our very talented shops to get the perfect cabinetry for your remodel. I'm absolutely amazed by their knowledge, expertise, and craftsmanship on every project!